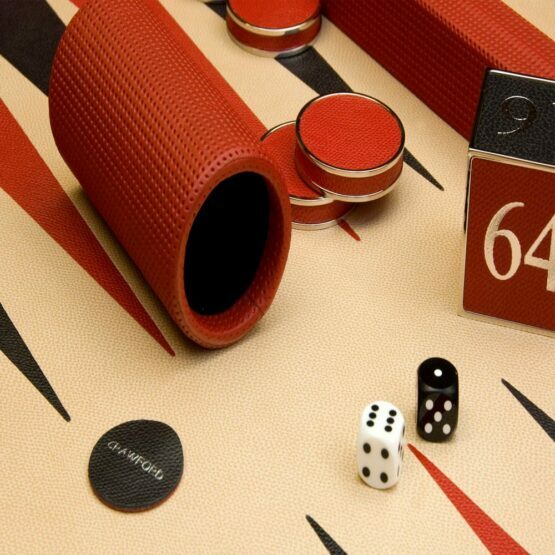 An ever-growing Geoffrey Parker favourite… semi-perforated leather gives a contemporary super-car feel to our luxury backgammon sets. 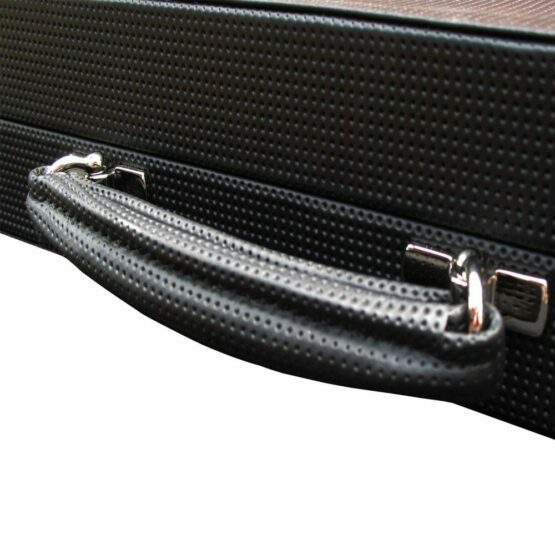 Available in black and racing red hides, our Automotive hide is synonymous with supercar marques the like of McLaren and Lamborghini who have used this for their luxury interiors. 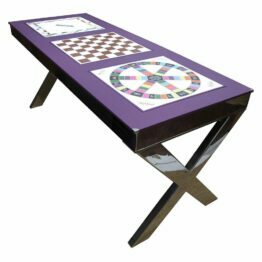 In fact, we have been asked to make a few Backgammon to match a number of car interiors over the years. 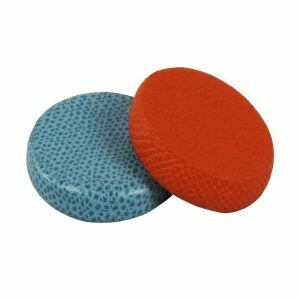 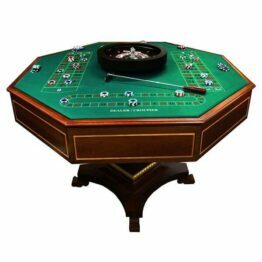 However, despite its luxuriously soft feel, it is only suitable for cases and dice cups as the little holes in the leather form a vacuum when used as a playing field and slow play down considerably. 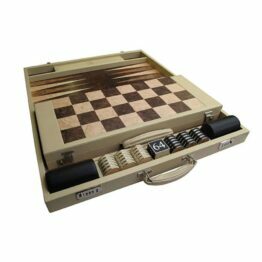 So we twin this with our specially tanned for Backgammon leather; our Dauphin calf for the inside of the cases. 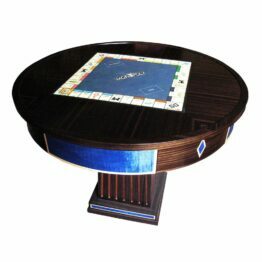 This makes for a splendid marriage. 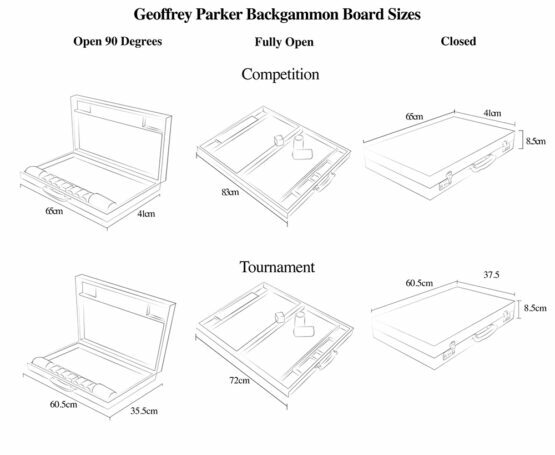 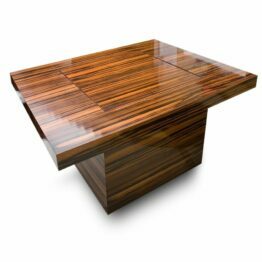 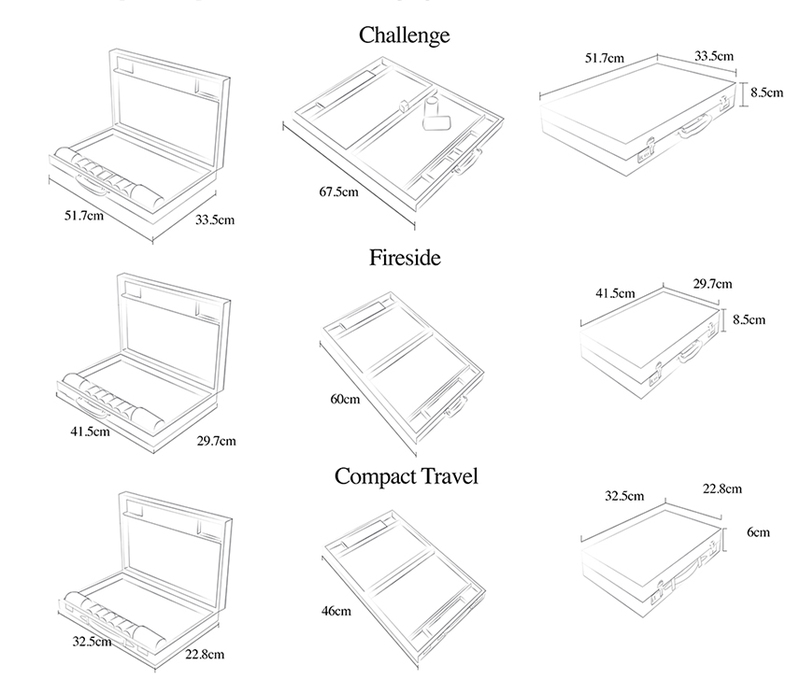 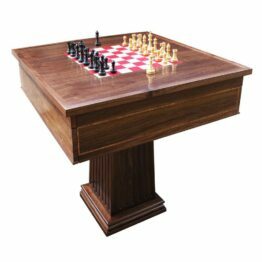 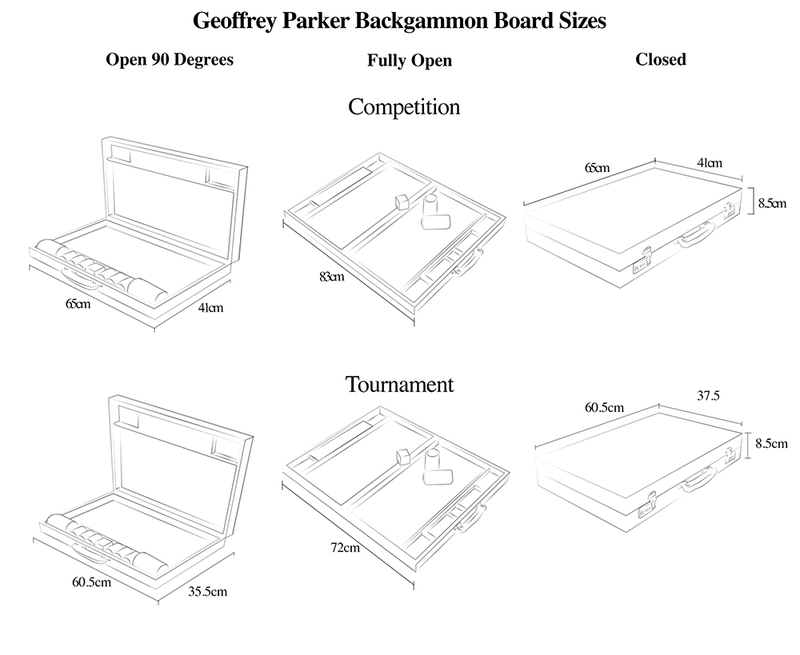 All the usual professional specifications are included in the build as on our other Bespoke boards and these special editions are available in all sizes and in either Contemporary Class or Prestige Classes and in both attaché or table-top editions. 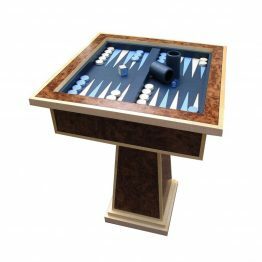 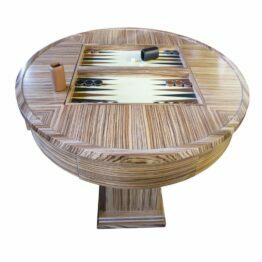 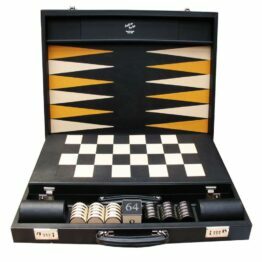 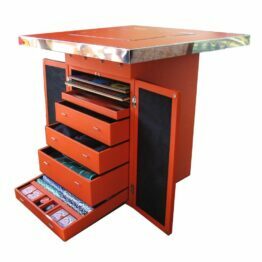 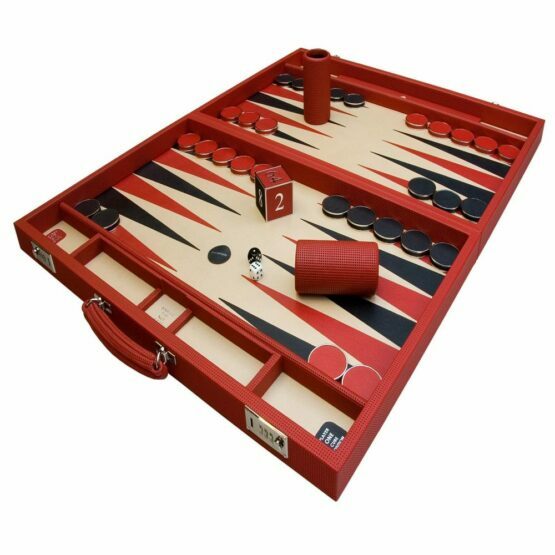 Why an Automotive Luxury Backgammon? 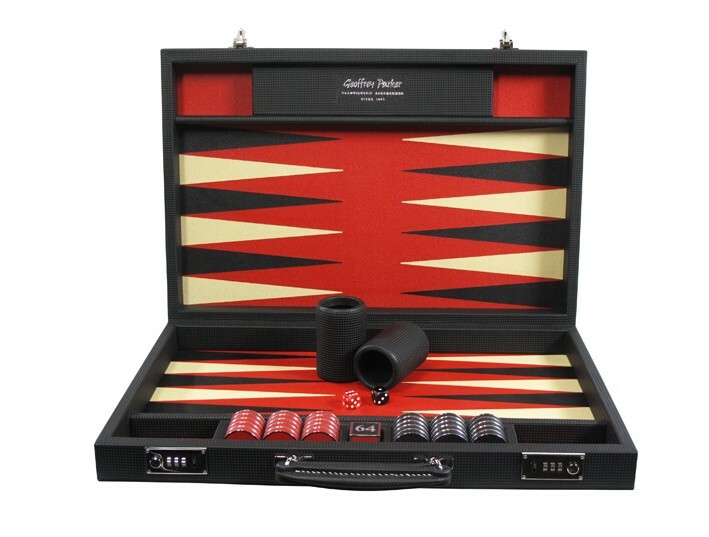 Don’t worry, our Automotive backgammon isn’t exclusively for car lovers; it features a semi-perforated leather which gives a contemporary super-car feel to our luxury backgammon sets. 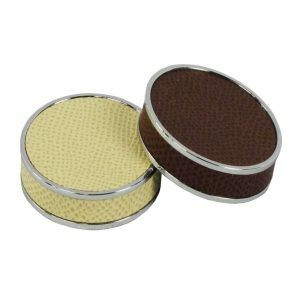 The leather and colours are synonymous with brands including McLaren and Lamborghini who have used this for their luxury car interiors. Unfortunately, due to this being specialist leather, it’s only available in a limited number of colours; if you’d like to see a range of examples for inspiration, please don’t hesitate to ask. 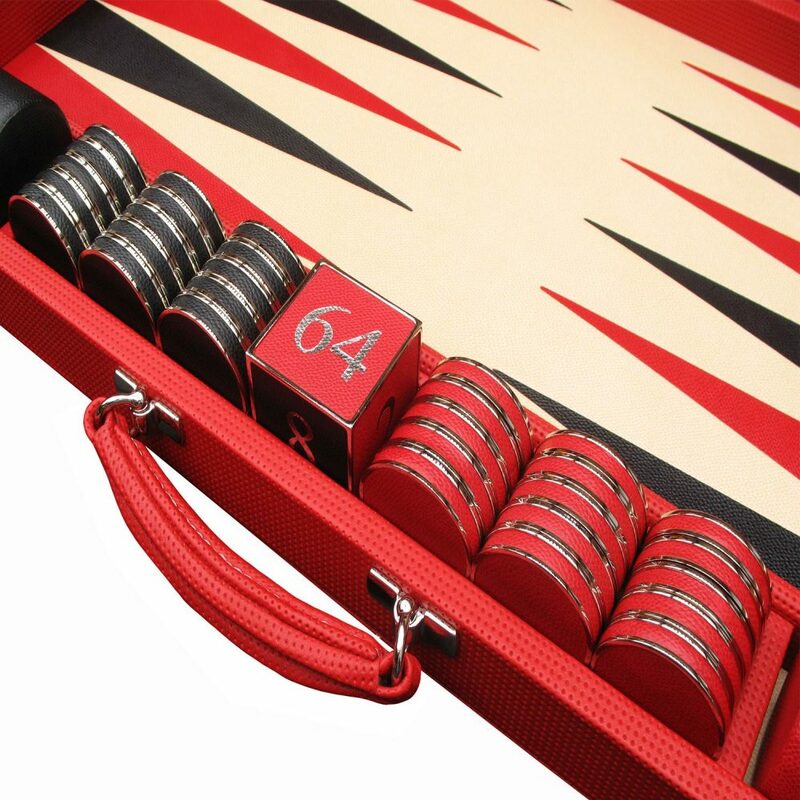 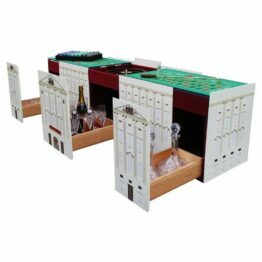 To ensure the quality of play our automotive backgammon sets feature a dauphin leather interior. Semi-perforated automotive leather can create a vacuum during play which slows the game down; therefore we produce all of our automotive sets with our traditional gaming leather.